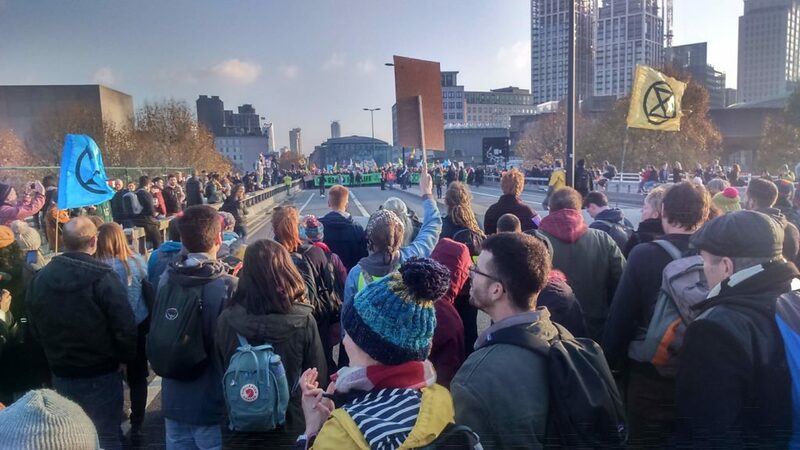 You won’t have seen it much on TV or the radio, maybe read about it a bit in the print media, but Saturday’s occupation of five bridges across the Thames in London was a watershed moment for global health civil society. I was on Waterloo bridge throughout the day and recorded some observations on my phone – links below. In this post, I reflect on the day and the issues it raised. Global health and climate breakdown. The protest was, is, about climate breakdown. Sadly, however, people are either unaware of the effect that that breakdown is going to have on their health, and the health of future generations, or wilfully blind to it. Colin Butler argues that, in part, this is because of a widely-held view that excess fear is counter-productive. However, the smell of smoke in a theatre requires the sounding of a vigorous alarm. Compounding the difficulty of communicating the risk over climate change is the lag between the whiff of smoke and the onset of visible fire. Paul is quoting from an interview in the Guardian between journalist Lisa Cox and Professor Peter Sainsbury. Sainsbury and 21 other health professionals wrote an open letter, published in the Lancet, expressing outrage at the Australian government’s “contemptuous dismissal” of the latest IPCC Report. In order to keep within 1.5 degrees of warming, the Report argues: “the use of coal shows a steep reduction in all pathways and would be reduced to close to 0% (0–2% interquartile range) of electricity (high confidence)”. The Australian government’s bullish rejection of IPCC modelling is described by Sainsbury here. The point is that if people – particularly prominent politicians – don’t even understand that climate change is a health issue, let alone the health effects, then it really is time to get this message across as clearly as possible. If you are an academic working in global health, then that means you. It is your responsibility to communicate this information to your students, to your communities, and to politicians in whatever way you can. To help you in that endeavour there are plenty of academic studies, many of which were penned by Professor Anthony McMichael. The figure below is taken from a 2003 book edited by him and colleagues, and published by WHO. 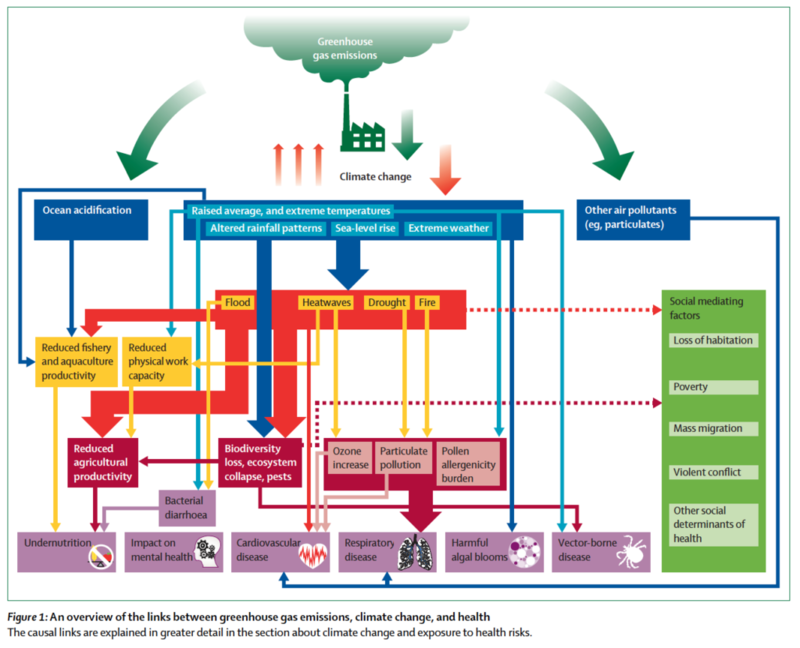 The figure gives you an idea of some of the pathways linking climate change and health. More recently, and it’s interesting to see how little has changed in the intervening years, the Lancet has commissioned a number of studies detailing the health effects of climate breakdown. Below is a more detailed version of McMichael’s figure, this time from Watts et al in 2015. 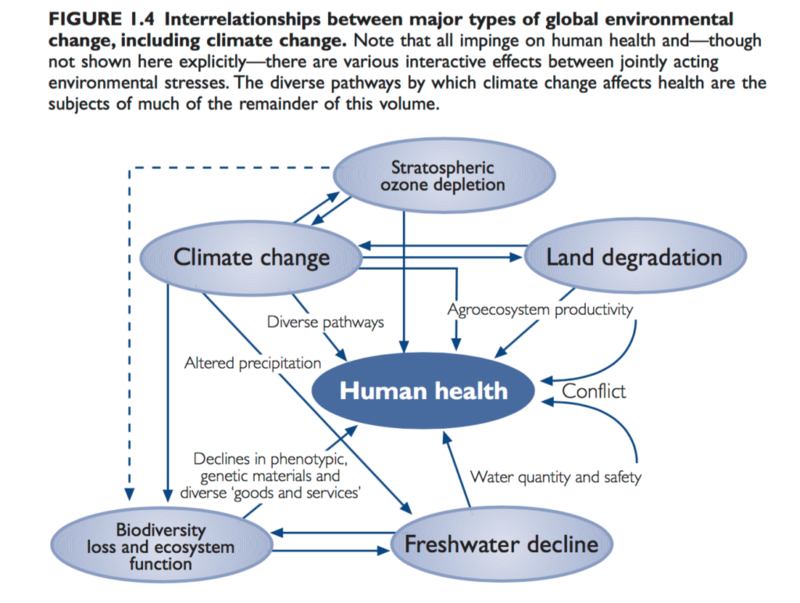 There are direct (storms, drought, flooding, and prolonged heatwaves) and indirect (water quality, air pollution, habitat destruction, and species extinction) effects of climate breakdown on human health, and both effects will have an impact on social dynamics (age and gender, health status, socioeconomic status, social capital, public health infrastructure, and mobility – both economic and physical). Expect incidence and rates of mental illness, undernutrition, CVD, allergies, infectious diseases, injuries, respiratory diseases, and poisoning to increase (see Fig 2 of Watts et al 2015). All, or virtually all, environmental health effects interact with social and technological factors as well as other “purely” environmental determinants. For example, the effects of heat upon individual health are influenced by temperature, humidity, exercise, hydration, age, pre-existing health status, and also by occupation, clothing, behavior, autonomy, vulnerability, and sense of obligation…Other factors influencing the heath impact of heat include housing quality, the presence of absence of affordable air conditioning and energy subsidies, if any. In turn, these factors are influenced by governance and socio-economic status. Thus, the health-harming effects of heat can be seen to have many contributing causes, of which climate change is only one. Bouzid, M.; Hooper, L.; Hunter, P.R. The effectiveness of public health interventions to reduce the health impact of climate change: A systematic review of systematic reviews. PLoS ONE 2013, 8, e62041. Huang, C.; Barnett, A.G.; Wang, X.; Vaneckova, P.; FitzGerald, G.; Tong, S. Projecting future heat-related mortality under climate change scenarios: A systematic review. Environ. Health Perspect. 2011, 119, 1681–1689. Naish, S.; Dale, P.; Mackenzie, J.S. ; McBride, J.; Mengersen, K.; Tong, S. Climate change and dengue: A critical and systematic review of quantitative modelling approaches. BMC Infect. Dis. 2014, 14, 167. Nichols, A.; Maynard, V.; Goodman, B.; Richardson, J. Health, climate change and sustainability: A systematic review and thematic analysis of the literature. Environ. Health Insights 2009, 3, 63–88. Xu, Z.; Sheffield, P.E. ; Su, H.; Wang, X.; Bi, Y.; Tong, S. The impact of heat waves on children’s health: A systematic review. Int. J. Biometeorol. 2014, 58, 239–247 [gated]. In other words, there’s plenty of material on which to make a solid case. To paraphrase Upton Sinclair, the only reason why the health implications of climate change for health should not be well recognised is if your salary depends on you not recognising them – which I guess accounts for the Australian Prime Minister’s ignorance. So, I was on Waterloo Bridge on Saturday. Here’s my video of the aims of Extinction Rebellion, and why I was supporting the protest (apologies for the product placement). The protest was amazing! The ease with which just a small number of people were able to occupy five main London bridges across the Thames was quite eye opening (here’s how it started). It reminded me how much power civil society actually has, if it a) realises that and b) mobilises, coordinates and then exercises it. On the one hand, the protest achieved its objectives (because, quite deliberately, they were achievable) and that was positive and meant that the day ended on a good note, and without any violence at all (except by the police on one of the bridges); on the other, there was a determination and commitment by those on the bridges to be arrested and go to prison. Given the scale of the protest, the age range involved, and the determination to see it through no matter the personal circumstances, made this a significant moment in the history of civil society protest. It was great fun and really uplifting. If you’re feeling down/pessimistic or feel like nothing can change and that ecological apocalypse is inevitable, come along next time! Here’s another video that captured the mood as protestors from Blackfriars Bridge joined protestors on Waterloo Bridge. Extinction Rebellion is being canny. Its organisers have bothered to review the historical record of civil society movements to find out what works and what doesn’t. Actions are designed with all stages of the life course in mind – from the very young to the very old (one of the protestors Phil Kingston was 82), meaning that they are as easy to participate in as possible; the protest was explicitly non-violent; and it was exceptionally well-organised. But they also seem to appreciate that the worst kind of protest is one that runs out of steam. Better to build a movement than kill it off before it really takes root. They plan to extend the movement internationally, and there was talk at the rally at the end of the day of actions planned for April 2019. The protest on Saturday was by and for people who have decided to stare climate breakdown in the face and respond to it. When you think about it for a second, once the problem is properly understood, people will want to do something about it. They don’t because they don’t feel it is possible. Extinction Rebellion is an expression of hope that will, with hope, translate into action – rather than passivity. The protest is the beginning of a different narrative. At its root is the belief that climate breakdown is not going to get any better than it is at the moment. All we can aim to do is not let it get any worse. It is based on a realisation that unless action is taken immediately, much of the planet for most of the global population will become uninhabitable. 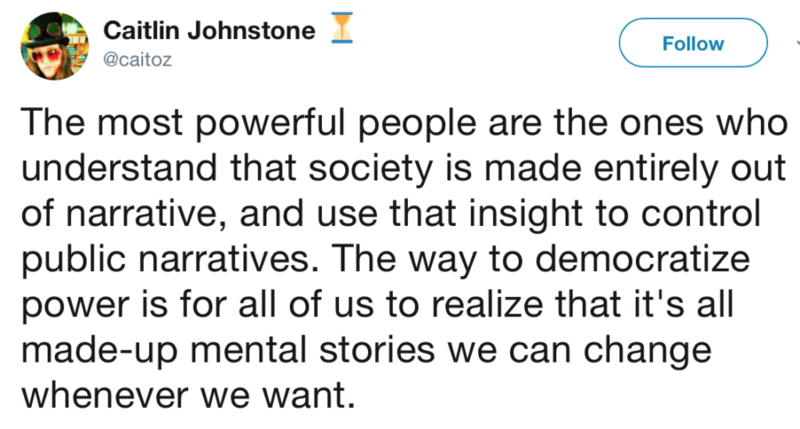 And from that flows the realisation that civil disobedience is entirely justified, and the consequences of that disobedience – arrest, imprisonment – are inconsequential. One of the police officers at the protest on Saturday was warning protestors that if they didn’t move, then they faced arrest, which could affect their future employment prospects. You can appreciate why that warning went unheeded. For the very young, their future is decidedly uncertain. If I were in my teens, I would not be worried about future employment; I would be more concerned about securing my future – period. In my middle years, I’m also no longer concerned about my future employment; I’m overwhelmingly concerned with securing a future for my children.